Everglades Tours Parkland Florida. Experience the beauty of the Florida Everglades on one of our airboat tours in Loxahatchee wild life preserve. Come face to face with the famous American Alligator as well as other reptiles. Alligators are the main attractions of the everglades and thousands of tourist flock to Florida each year to take an airboat ride. Taking an airboat ride is the only way to see, as well as enjoy the back country of the true Everglades. Our airboat tours are semi private and private airboat tours we also offer coprporate trips. The Everglades is a very large wetland expanding from Lake Okeechobee to Florida bay . It is as large as the state of Rhode Island and it is classified as one of the widest rivers in the world. An airboat tour will give you a glimpse of the river of grass and all of its wonders. From history to folk tales the everglades has it all. Everglades tours in parkland provide an in depth look at the eco system of the everglades as well as educating the public on its well being and its conservation efforts. We enjoy showing the everglades to tourist from all over the world, as well as locals in Parkland Florida. Airboat rides are one of the number one attractions in Parkland Florida as well as airboat rides. 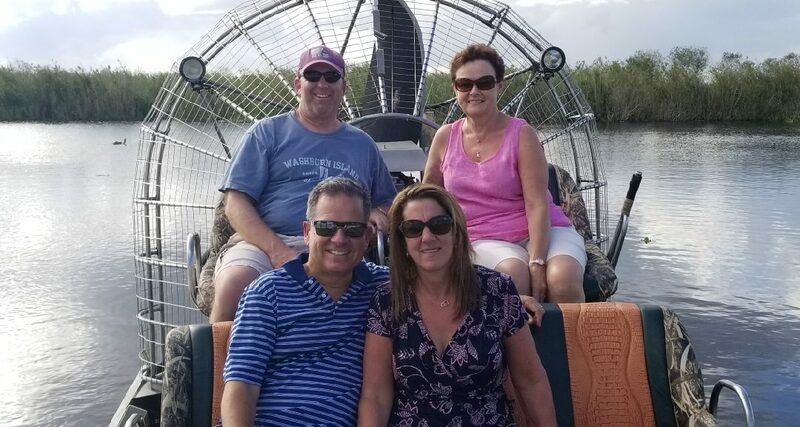 The airboat tours of the everglades can be enjoyed by everyone. Although there is no age restriction and we are family friendly. If you are looking for an exciting tour for the entire family you have found the best attraction in Parkland Florida. Give us a call today to schedule your everglades tour or email us threw our website Contact Us . We encourage you to educate yourselves on the everglades there is no other wetland in the world like it . Come experience the river of grass today on an airboat tour threw the Everglades.